Finally, the wait is over! Sunny Leone’s song Laila Main Laila from Raees is out and she has set the temperature high with her sizzling dance moves. The actress is looking super hot in a blue outfit and will definitely remind you of Zeenat Aman from the original track. The song is really catchy and will surely be a chartbuster. Suny has done a great job and will totally steal your heart with her desi looks. Thoda aur intezaar karo Meri jaan.. 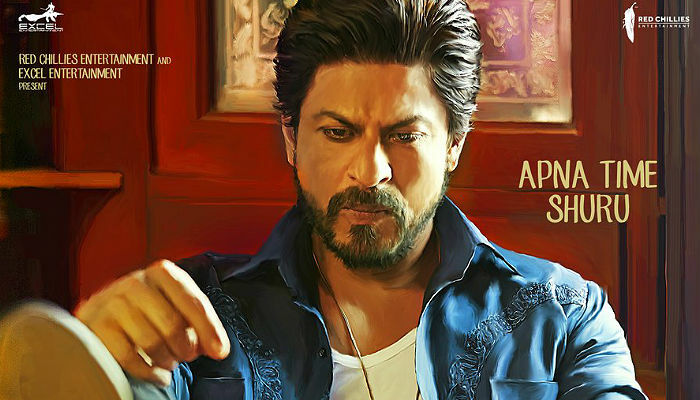 Directed by Rahul Dholakia, Raees is set in the backdrop of the situation in Gujarat in the 80s and also marks the Bollywood debut of Pakistani actress Mahira Khan. While Shah Rukh will be seen portraying the character of a wicked bootlegger Raees Alam, Nawazuddin Siddiqui will be playing the role of a cop whose sole motive is to put Raees behind the bars. Well, we are super excited and looking forward to watch Sunny Leone share screen space with Shah Rukh Khan. Th movie is all set to hit the theaters on January 25, 2017.